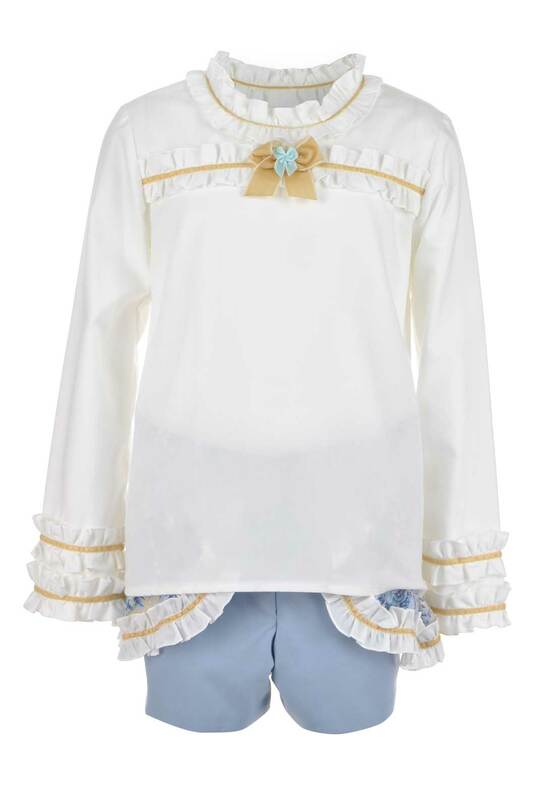 Get her set for special occasions with this stunning vintage style long sleeve top and shorts set from Bea Cadillac in white and blue. 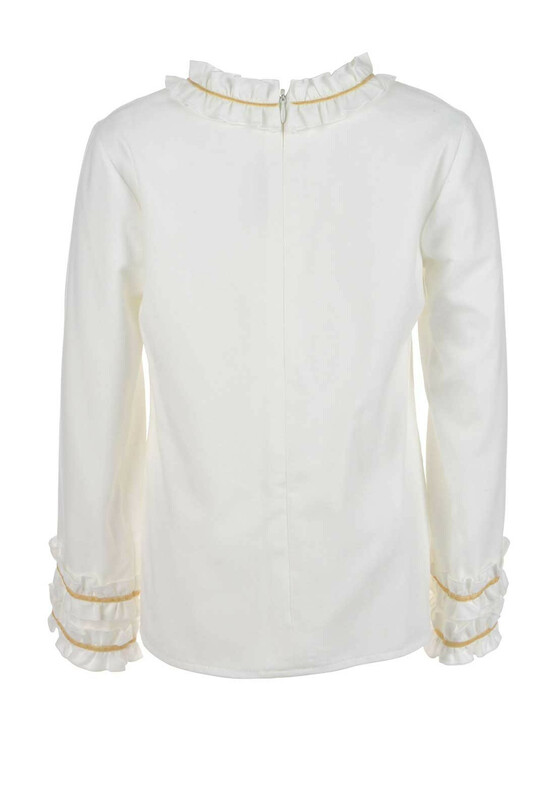 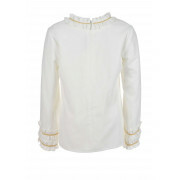 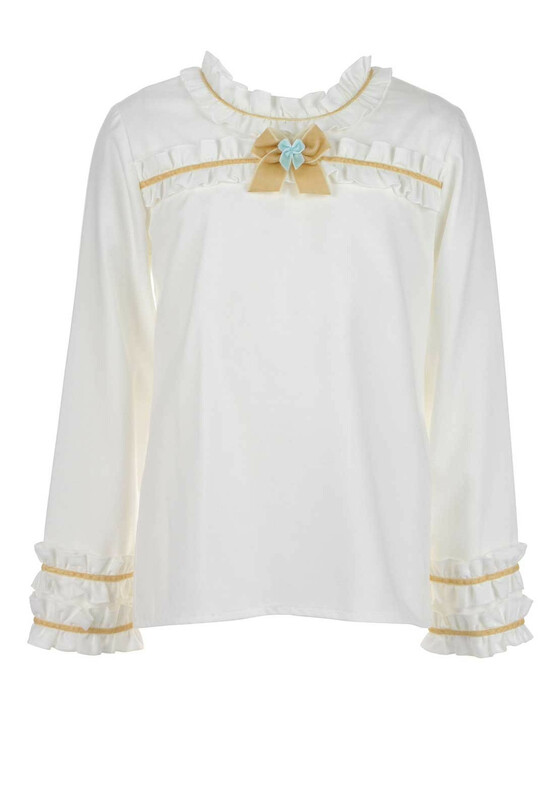 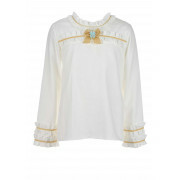 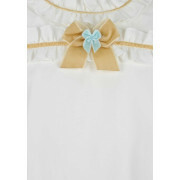 The long sleeve blouse has frilled detailing throughout with a beige bow on the chest and a rear zip fastening. 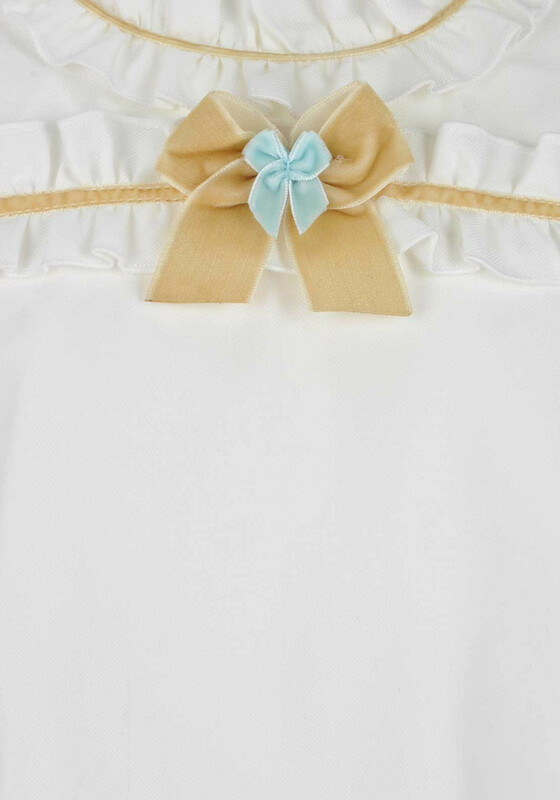 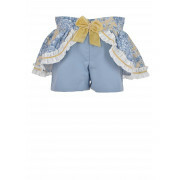 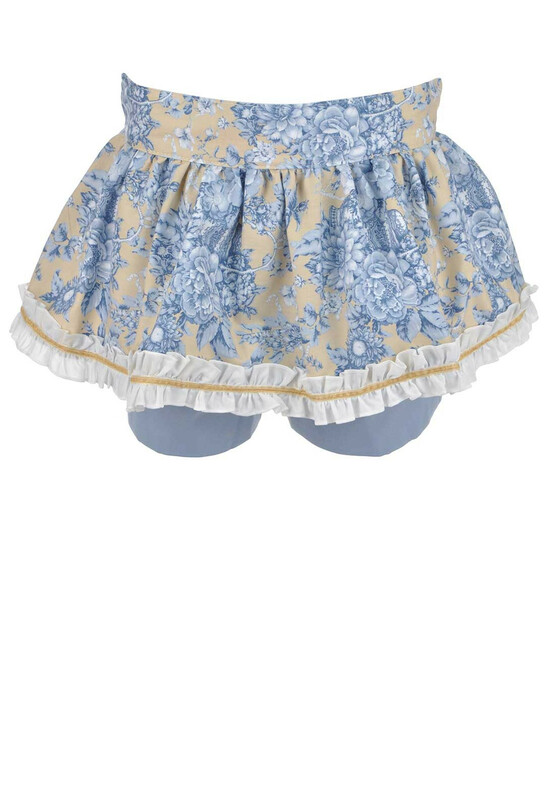 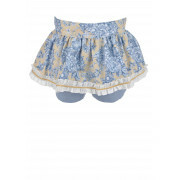 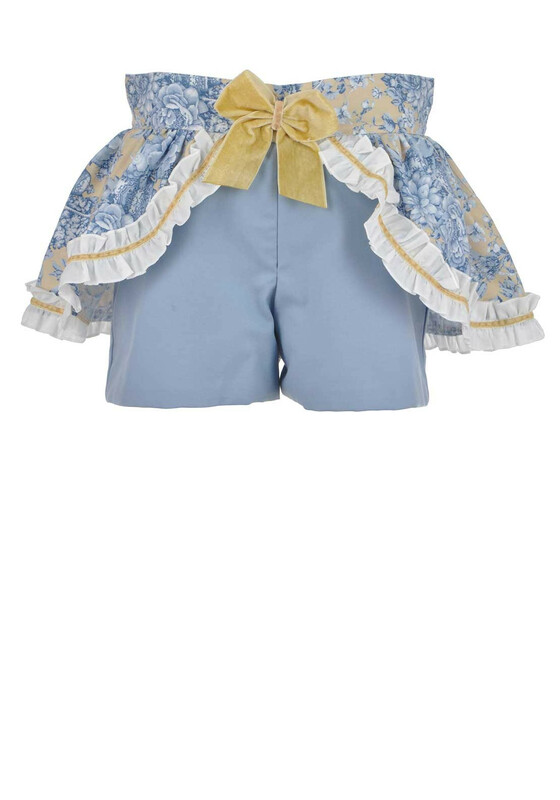 It will look so dressy with the matching blue shorts with their stunning floral print frilled skirt panelling and beige bow front.